Recently I was going through some old emails in my hiking folder. I came across a story about a hiker that got lost in the Mt. Lafayette area. It reminded me of a near disastrous hike I had in the same area. I will get more into that story after I relate my experience which happened several years before his experience. Most stories that get publicized are about the victims of an outdoor adventure. In a survivors story the hiker often does not know how close he was to becoming a victim. Survivors can tell us how they coped in a difficult situation. Every year I spend the first week in May at the Mittersill Alpine Resort in Franconia New Hampshire. On Saturday afternoon I was checking out the Skookumchuck trailhead. It was mid afternoon and I was surprised to see 2 men heading for the trailhead. After a brief conversation I learned they were going to camp just below the tree line and bag Mt. Lafayette and return the next day. I told them I was going to do a day hike the following day so I should be meeting them on their way back to the parking lot. 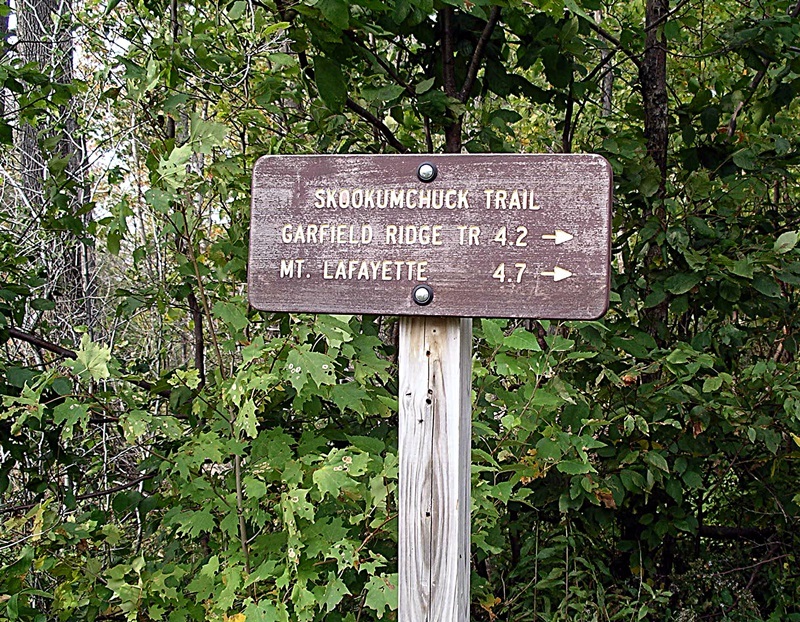 I have hiked this trail before in the summer and early fall. It is a steady uphill climb till you reach the summit of .Mt. Lafayette. There are a lot of trees on this trail until the tree line and then it is bare rock. What I like most about this trail is there are no really steep inclines, just a constant moderate slope. There are several small stream crossings. I never understood why this trail was not more popular. So early Sunday at about 7 am I was starting my hike at the Skookumchuck Trailhead. It was already getting warm and the temperature was predicted to be in the 80’s. There was no snow on the ground and the snow aspect of this hike had not entered my mind. The ground on the Canon mountain ski slopes was almost bare. About 2 hours into the hike I started seeing snow on the ground. The trail markers are still very visible. Shortly thereafter I encountered the 2 hikers from the previous day. They asked me if I had snow shoes and when I replied in the negative they warned me that I may have trouble sinking into the snow as farther up the mountain it was at least 5 feet deep, They said if I hurried I may get though this part before the snow gets too soft. The snow was still hard at this point and since this trail is very seldomly used there was very little indication that anyone had hiked this trail. I had hiked this trail when there was no snow and realized the tree cover might keep the snow hard till I was near the tree line and would then be walking over the rocky part of the mountain. It was not too long before the trail makers were covered by snow. Fortunately I was able to detect where the hikers had travelled. The higher I got in elevation the more pronounced were the tracks of the hikers. My luck soon ran out, I was starting to sink and I had not quite reached the tree line. With the trail markers invisible due to snow I had no choice but to follow the tracks of the hikers. After sinking into the snow up to my hips a few times I was forced to tamp the snow before each step. I quickly reasoned that I would not last long if I continued to try and pull myself out of the snow each time I sunk to my hips. I was already wet and being in wet melting snow was beginning to get chilly. Suddenly I was at the end of the hiker tracks. I figured they had came to this spot the previous day pitched camp and did the summit and came back to the camp spent the night and descended this morning. I was already 2 hours behind schedule. I could see that the tree line was about 200 feet away and after that it was mostly bare rock. Between me and the bare rock was huge snow covered boulders and 75 feet of dense short evergreen trees. It was now time to clearly figure out a plan and proceed quickly. Going back the way I came would be a lot shorter but I may get lost on the way back if I was unable to follow the trail. This being the north side of the mountain it would get dark sooner. I would also be tamping down the snow for a longer time than I did on the way up. It in the 80’s. The prospect of getting lost on the way back was foremost in my mind. Going forward would not be a cake walk. I would have to tamp carefully going from boulder to boulder and then getting through the thick short trees would not be easy. The trip back would be at least twice as long. I should have no trouble finding the trail once I reached the bare rocks. I quickly choose the longer way. Passing over the boulders to the thick slow trees was slow and tedious. Sometimes I threw my pack ahead of me, sometimes I managed to jump from one boulder to the next. I spent at least an hour going less than 50 feet. Now I had to contend with the trees. This was more of a challenge than I anticipated. I had to push through the trees hoping the branches would bend enough so I could get by. I did eventually get through. I was probably about 4 hours behind. I had been checking the sky very carefully as this is an area where nasty weather can develop quickly sometimes in as little as 20 minutes. I was still a little wet, tired, and sore from the scramble that I had just finished. The really good thing is, I was warm and I quickly found the painted trail markers on the rocks. When I reached the summit of Mt. Lafayette it was after 2 pm, I could see the Greenleaf hut and figured I was about an hour away. Mt. Lafayette is 5260 feet high. The trail down to the hut has a southern exposure and had very little snow or ice. It is very steep most of the way and one has to be very cautious. I always do better on the way down and since my cardio is not as strong as my legs. I arrived at the hut to find a few workers there getting ready for the upcoming season. They told me that taking the Old Bridle Path would be the longest but would have the least amount of snow and ice and that I should not do the Greenleaf trail without traction devices. It was after 4 pm when I started down the Old Bridle Path. About an hour later I met a woman coming up and she offered me the keys to her car. At this time I was actually feeling a bit recovered and declined the offer. When I reached the parking lot I was starting to regret that decision. From the parking lot it is about 4 miles to the resort I was staying. It was twilight but I would be on a paved bike path halfway and a paved road the rest of the way. I was getting tired, sore, and hungry. It was starting to cool down so I did not stop as I needed my body heat to keep me warm. I arrived at my unit at about 9 pm. It was a lot later than I predicted and they were about to make calls about my not coming back on time. I have thought about this hike many times. I was extremely lucky the weather stayed good. I don’t think I was in great physical shape, but I did stay alert and did not slip and get hurt which also helped a lot. I think I made the most conservative choices rather than the shorter more riskier uncertain ways. When I think about having more or better equipment, the down side of that it requires more weight and the energy to carry the extra equipment. Someday I will write about such a hike and some of the consequences. As I promised I will write briefly about another solo hiker who started at the same place I did and in a different year but only a few days earlier in the season and by a man about 10 years younger than me and we are both electrical engineers. From the story below I see that Peter started out from the same location that I did but later on in the day. I am speculating on what he may have done. He must have ascended till he decided he did not want to proceed in the melting deep snow. He turned around and headed back. At that time of day I would probably have made the same choice. At some point he took a right when he should have gone left. I have gotten disoriented in this area in the summer and early fall. I ended up hiking about 16 miles instead of about 4 miles. He ended up spending 2 nights outside before being found. I could have easily have followed his path with probably with similar results. This is an excerpt from an email I received. 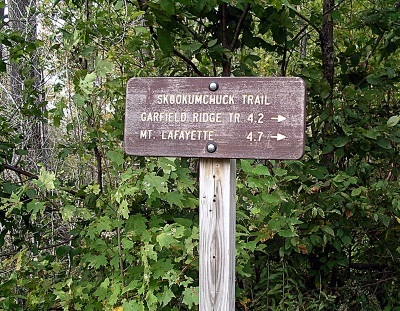 CONCORD, N.H. — The search for a lost hiker around Mt. Lafayette successfully concluded shortly before 4:30 p.m. on Tuesday, April 27. 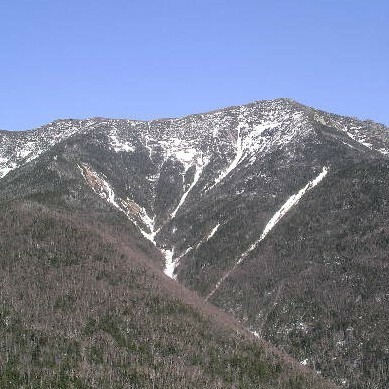 Peter Murphy (age 46) of Littleton, N.H., was located by a White Mountain National Forest employee looking for him in the Gale River area of Bethlehem, N.H.
Murphy had set out Sunday (April 25, 2010) afternoon in shorts, a t-shirt and no other gear to hike the Skookumchuck Trail to the summit of Mt. Lafayette, 5 miles from the trailhead and back. After turning around, Murphy lost his way and spent the next two days trying to find his way out of the White” Mountain National Forest. He eventually found a brook drainage and made his way several miles down to the Gale River Forest Service Road, where he was located. Someday I will write about another adventure in the mountains. A final though, the mountains take no prisoners.